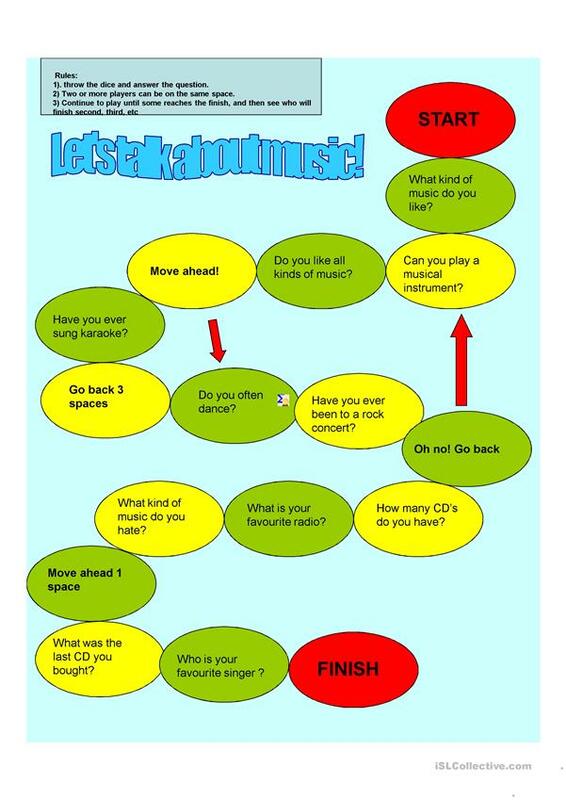 This is a boardgame to practise asking and answering the questions about music. It can be used as a warmer. Students can work in pairs or in groups with dice and counters, when they land on a square they must answer the question. This downloadable teaching material is best suited for elementary school students at Elementary (A1) and Pre-intermediate (A2) level. It is aimed at consolidating Questions in English, and was designed for developing your class' Speaking skills. It centers around the theme of Music.